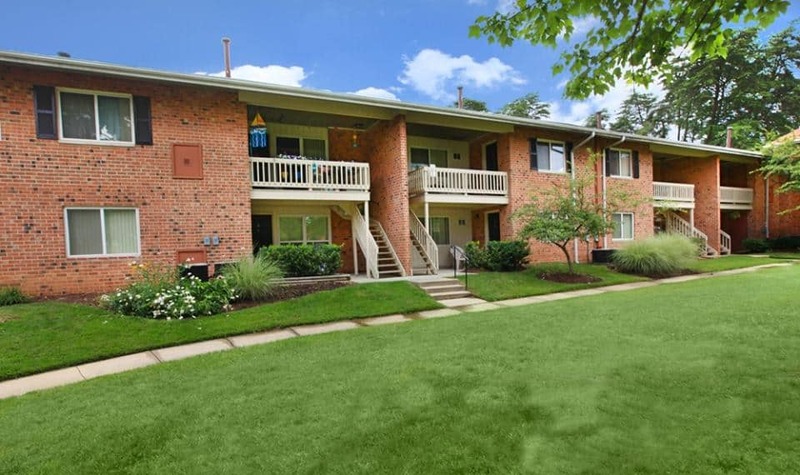 PHILADELPHIA, Feb. 6, 2017 /PRNewswire/ — GoldOller Real Estate Investments announced it has purchased The Seasons Apartments a 1088-unit property located in Laurel, Maryland. The Seasons is GoldOller‘s largest single apartment investment and its first asset in the Washington D.C. – Baltimore area. Situated on 70 acres and containing over 900,000 rentable square feet, The Seasons has been a gem of Howard County Maryland for decades. Located just off I 95, and an easy 20-mile commute to either Washington D.C. or Baltimore, The Seasons is in the heart of the 4th largest market in the United States. The Seasons offers multiple recently renovated spacious one, two and that three bedroom floorplans including both garden style apartments and very unique town homes; resort style amenities include two swimming pools, tennis courts, fitness facility, child playgrounds, dog parks, and a clubhouse that includes a coffee bar and cyber cafe. With its exceptional location, diverse floor plans, community amenities, and an amazing site based team, The Seasons consistently enjoys high occupancy, currently at 95%. “We are thrilled to include The Seasons as a GoldOller community. It’s an exceptional property in a fabulous Harris County Maryland location that just keeps getting better,” said Richard Oller, GoldOller‘s Chairman. “We are also delighted that this exceptional investment opportunity continues to extend our national footprint in the Northeast corridor. As a Philadelphia based company with most of our holdings in the Midwest and Southeast, it‘s exciting to increase our presence closer to home,” Oller said. According Jake Hollinger, GoldOller COO and principal, The Seasons Apartments will undergo enhancements to the property including renovations to apartment interiors, the fitness center, the clubhouse, landscaping, and new and enhanced amenities. Residents will also enjoy our signature GO resident services, which includes sophisticated package handling, complimentary fitness programs, and customized life style service designed to enhance the community experience. “Our extraordinary team knows how to deliver results by creating a unique experience at each property from day one. We’re excited for the opportunity to deliver our enthusiasm, creativity, and commitment to our residents that each new acquisition presents,” Hollinger said. Jill Hinton, VP of Operations said: “We are accustomed to acquiring very large communities, but each transition is a test of our skills and resources. I am so proud of our remarkable GO team (training, marketing, accounting, facilities) and the enthusiastic Seasons site staff who embraced us. They made the transition seamless and allowed us to focus immediately on the resident experience. This week we hit the ground running with a week of fun ‘meet and greet’ events attended by about 500 residents. There is nothing better than to see smiling facing abound; that’s really whatit’s all about. We have already begun introducing our signature Life on the GO amenities and programs to enhance The Seasons community experience and ensure that every resident truly feels that This is Home,” Hinton added. GoldOller Real Estate Investments (Goldoller.com) was formed in 2008 by industry veterans Richard Oller and Jeffery Goldstein. GoldOller is an emerging leader in the multi-family housing industry and an innovative owner-operator of apartment communities throughout the United States. GoldOller owns and operates apartment communities in 18 States valued in excess of 1.5 billion dollars, containing about 14,000 units. Multifamily Management Services, a GoldOller affiliate, provides third party management to communities containing about 30,000 units, while other affiliates develop, own, and operate condominium, office, hotel, industrial, and retail assets. GoldOller has corporate offices in Philadelphia and New York City, as well as regional offices located in Kansas City, Atlanta, and Orlando.